A few days ago, I took my children with me on a weekly grocery shopping trip. They were eager to help with pushing and loading the cart, along with checking things off the list, as we went to not one, but two stores. It wasn’t always this way, though. I used to be reluctant to let them help. I frequently picked up after my kids, cleaned their messes, and generally required very little of them. It worked well, for a little while. Until I realized they were always waiting and looking to me for… everything. I couldn’t really be angry with them- I had been enabling their helplessness. Thankfully, my other half has expected much more from my kids. He pointed out that I can still serve my children without waiting on them hand and foot. No parent intentionally sets out to spoil their children. My motivation came from a place of wanting them to enjoy their childhood and not feel burdened with the expectations and guilt that I experienced growing up. I also severely underestimated their abilities. In addition I honestly thought it made my life easier to just do things for them, instead of taking the time to train them properly. Easier in the short run, maybe. But in the long term, well, I was completely worn out and frustrated. Responsibilities make kids integral contributors to family life and the household. In a company, the manager delegates tasks. It’s weird to think about the family as a company, but maybe we should start. After all, “economics” comes from the Greek word oikonomia which translated means family law. God intended for the basic economic unit to be the family according to the creation mandate. Chores will help your kids have a sense of belonging to a unit larger than themselves. 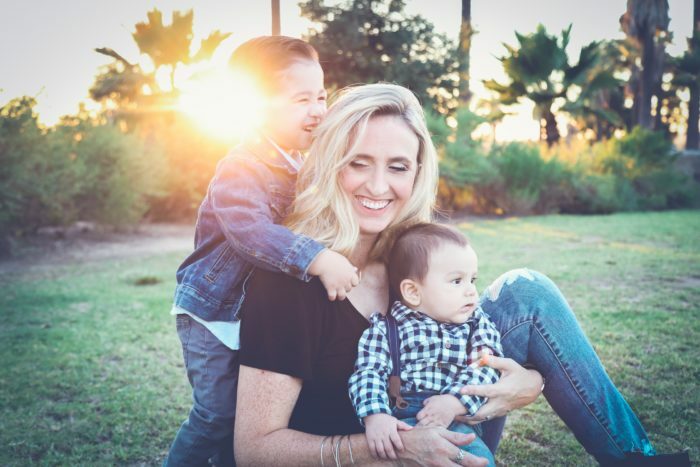 Having their own set of tasks for which they are responsible will teach them that everyone needs to work together to keep the home running smoothly. Having done something all on their own gives kids pride for a job well done. Rewards are intrinsic and come from within themselves, not from external sources. I was usually too tired to deal with yet another hour-long power struggle over tasks, so I resorted to “rewards”. Only they were bribes, since they were promised in return for the completion of a task. Initially, it seems like this is an effective way to motivate kids—grades and chores seem to improve… for a little while anyway. But as bribes become the norm, your child will begin to expect better and better rewards before agreeing to do such-and-such a task. You’ve trained them to expect something external in exchange for a task they should be expected to do. By making the rewards intrinsic however, you will build internal motivation in your children. They’ll begin to feel accomplished that they can do certain things all on their own, and that sense of achievement will compel them to get the task done. We can’t forget that we’re essentially raising adults-in-training. The more responsibilities your children bear now, the more self-efficient they’ll be as adults. Faithfulness and responsibility are lessons learned from having daily chores. 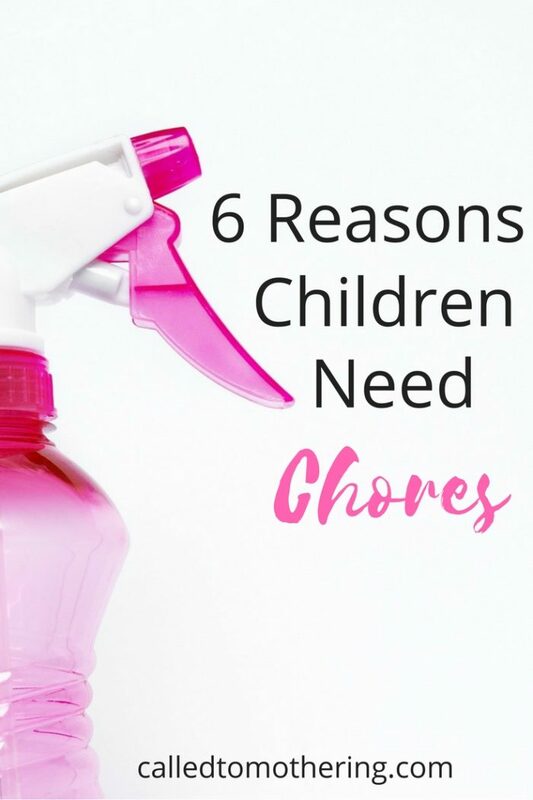 Chores can also help your child learn problem solving and teaches them time management: If I get out all the toys at once I’ll have to spend a lot of time cleaning them up, but if I get out just a few things and then put them away before getting something new, it won’t take as long to clean my room. Having the same tasks every day also offers kids the opportunity to be disciplined (read: not lazy). It establishes that routine which they so often crave and function well on, so their hands don’t become idle. Entrusting kids with correctly carrying out responsibilities makes them feel reliable. Your kids want to please you. When they know you believe they’re capable, they want to work even harder. And knowing that you trust them actually forges a stronger bond between you! By giving your child daily responsibilities at an early age you are preparing them to be a person who doesn’t shrink back from hard work, but accepts it as part of life. 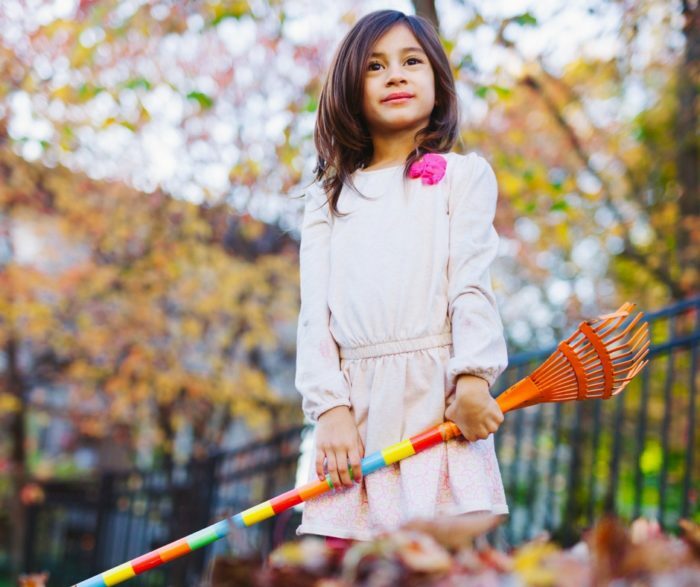 Having chores reminds kids that some things don’t come easily or at our whim. They shouldn’t always expect someone else to pick up the slack for them. We need to make sure their chores and our expectations of them are age appropriate, but kids will rise to the challenges they’re given. In this age of participation trophies and “child-led” philosophies, I don’t want to raise children who feel they are entitled to privileges and rewards they haven’t earned. I cannot tell you how much time I save each week just by having my kids sort, switch, fold, and put away their own laundry. Less picking up after kids doesn’t only mean a more efficient use of our time, though. When they’ve learned responsibility and discipline, you don’t have nearly as many behavioral problems to deal with. And children with internal motivation will be more likely to just do things around the house without even being asked. This frees you up to spend more quality time enjoying your kids, instead of wasting energy on repeating yourself over and over. At first, they may not do everything just to your liking. It might take a few weeks of consistent training before they’re putting away clothes neatly or getting the majority of crumbs up off the floor. If a standard chore chart doesn’t work well for prompting your kids to accomplish tasks, find out what does. We’ve ended up setting an alarm for each chore on our kids’ digital watches, so that they’re prompted by the alarm instead of being nagged by me. The alarm keeps ringing every few minutes if they don’t manually click the check mark that the task is complete. They’re probably not going to do their chores with the attention to detail you have, but settling for a little imperfection and time spent training will ultimately save you time in the long run. After getting the kinks worked out, you’ll be surprised at how much smoother your household runs! I realized that this past year as well… now we have little jars. They earn a nickel for each chore. It gave them motivation. And they are learning the value of hard work. My favorite part… if they forget – and I have to remind them – they still have to do the chore but I get the nickel. They learn that mom has value too. I have done this for my kids too! I try and have them do things around the house, but with them gone at school, I’m mindful of their jobs there too!